This was taken during the flight. 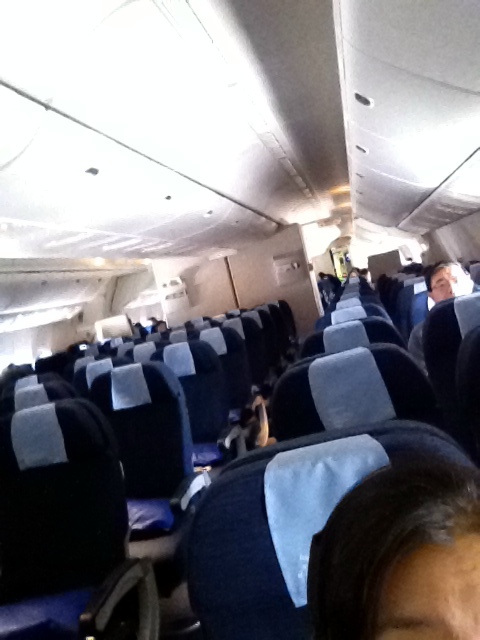 It’s a Boeing 777, and there were a total of 10 people in the economy cabin. I actually felt a little bit guilty about my carbon footprint. By the way, the flight was delayed for 19 hours. If you’re looking for someone to bet against these days, here you go: UAL. So it has! Last year was a breakout year for airlines. (Overpriced though. P/E is about 30).